This 28-inch TN panel monitor looks like a great option for gamers looking for a value-priced larger 4k monitor. The right monitor can improve your PC gaming experience, and we are sure, you don´t need to spend a ton of money to do it. This is a reason why we started a cheap gaming monitor series where we want to review monitors for gamers on a budget. Our first device for review is Samsung U28E510D. This 28-inch TN panel monitor looks like a great option for gamers looking for a value-priced larger 4k monitor. With U28E510D you get 3840 x 2160 resolution, AMD Freesync support and 1ms response time paired with a 60Hz refresh rate. A good monitor should have a design that doesn´t distract the user from the content on the screen. And this is exactly what Samsung UE510 series gives you. A carefully designed monitor with a matte black body framed by a bezel with a metallic rim. The sleek monitor is sitting on a T-shaped stand that is matching the same metallic style of the device. by a T-shaped stand with a matching metallic touch. Overall, the physical appearance of U28E510D will surely not disappoint any casual gamer. With the resolution that is 4 times higher than Full HD, this 28-inch Ultra HD monitor delivers decent color performance for the price. It also gives you 1 billion colors, so movies or games will appear detailed and realistic. More colors mostly give a smoother transition between different tones for a more accurate picture. Honestly, the picture is great for casual use. For gaming, the display has 3840 x 2160 resolution at 60Hz, 1000:1 contrast ratio, and supports AMD FreeSync with a 1ms response time. All that let you enjoy a fast on-screen motion clearly and smoothly with less motion blur, ghosting, and judder. For better viewing comfort, Samsung U28E510D offers an Eye Saver Mode which reduces blue light emissions and flickers. Now you can watch movies, play games or work on your PC for long periods of time without worrying about eye strain or fatigue. Speaking about work, with Picture-in-Picture (PIP) 2.0 technology, you are able to view video or movie in one window while simultaneously working on your project. You can easily adjust the position and size of the window and still have the source’s original resolution (Full HD). To the UE510, you can easily connect multiple Ultra HD devices, like gaming consoles or PCs. The monitor uses upgraded HDMI support (v2.0) that is ready to give you UHD resolution at a 60Hz refresh rate. There are two of the HDMI inputs and one Display port input on the back panel. The Samsung U28E510D is a good option for gamers who are looking for a cheap 4k monitor. This device offers 3840 x 2160 resolution, Freesync support, TN panel with 1ms response time at the 60Hz refresh rate. Of course, if you are going to get 4K, it would make a lot more sense to go for IPS display than TN, but Samsung has managed to integrate 170-degree viewing angles into its TN panels while keeping their main advantage, which is fast response time. 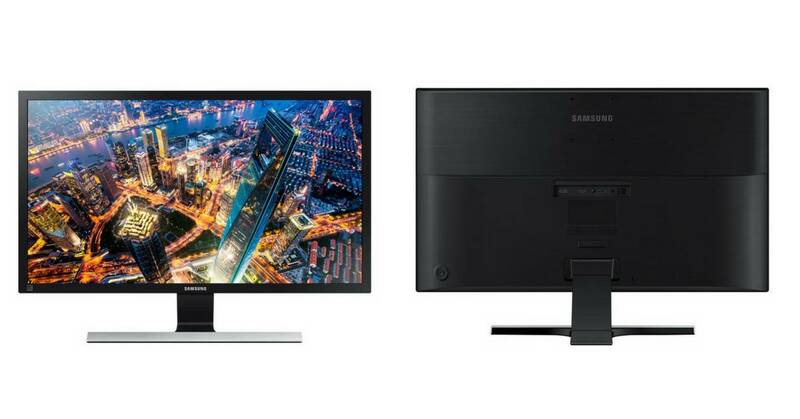 For the price (at the time of the review), the Samsung U28E510D is still a decent deal. 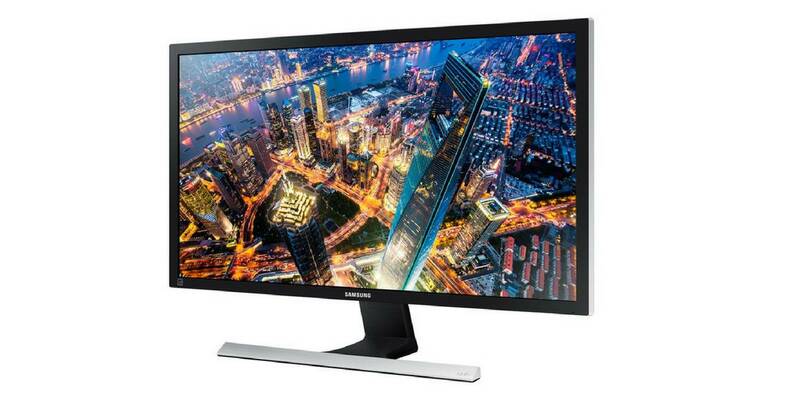 From the same company as our reviewed monitor (and with almost the same product number), comes the Samsung U28E590D. Its 28-inch TN panel offers sharp image and displays light and dark shades of gray without issue. The monitor also delivers a sharp Ultra-High-Definition (UHD) picture and good all-around performance at a reasonable price. Samsung U28E510D vs U28E590D – any differences? 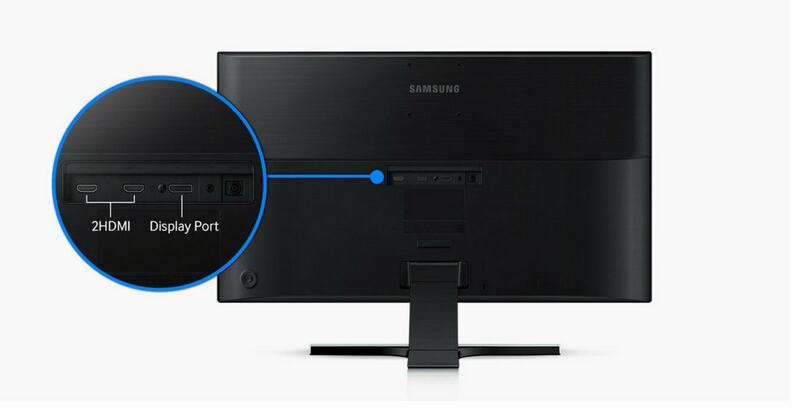 To be honest, for a casual user, Samsung has two nearly identical monitors in these devices. Both models are almost similar in physical appearances and specialties – size, resolution, a number of colors resulted, AMD FreeSync support or the picture quality you will get. LG 27UD58-B 27-Inch 4K UHD IPS Monitor – Available with FreeSync technology the LG 27UD58-B is one of the best rated 4k monitors you can buy without spending tons of money. Designed for gamers, the 3840 x 2160 pixel resolution offers more than four times the resolution of Full HD and has more than 8.3 million pixels on the screen. Dell Ultra HD 4k Monitor P2415Q – An affordable 4k monitor from a well-known computer company. This model offers 99% sRGB color coverage and factory color calibration for a decent viewing experience. The 24″ screen is LED-lit and has a resolution of 3840 x 2160. This 28 inch TN panel monitor looks like a great option for gamers looking for a value-priced larger 4k monitor. With U28E510D you get 3840 x 2160 resolution, Freesync support and 1ms response time paired with a 60Hz refresh rate.